Lee is president of Blackboard International. He is responsible for sales, marketing and operations to support the company's global growth outside the United States and Canada. Lee is a successful enterprise software and services executive with over 20 years of experience building teams and solutions with a focus on sales, and including operations, marketing, professional services, product strategy and project management. Prior to joining Blackboard in 2015, Lee served as the senior vice president of global sales at Velocity where he was responsible for all field operations including sales, offering management, marketing, and customer relations. 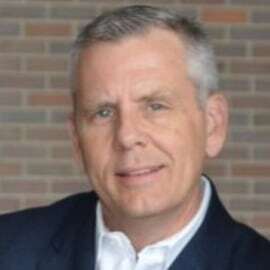 Prior to joining Velocity, Lee worked at IBM for nine years, where he held the role of vice president of worldwide sales for multiple software businesses. While at IBM, Lee served as director of European sales during which he helped launch the company’s application on demand business in Europe. Prior to this, Lee held various sales leadership positions at Corio, a cloud-based ERP solution acquired by IBM. Earlier in his career, Lee worked for Paymentor, a UK-based online accounts receivable solution and Scala Business Solutions, a Swedish ERP software company.